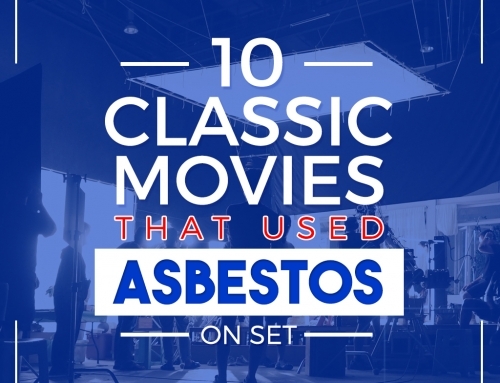 Asbestos was a popular building material in the 1920s until it was completely banned in 1980. It was predominantly used to manufacture various products – with floor tiles included – due to its affordability and extraordinary insulating and fire-resistant properties. Asbestos-containing tiles or vinyl were once a valuable option for flooring in the early 20th century. It was widely exploited in response to the risk of fire that was a common problem at the time. But, as it deteriorates, it also presents many dangers to those exposed to its airborne fibers. The material that was considered a miracle mineral was discovered to cause life-threatening diseases. 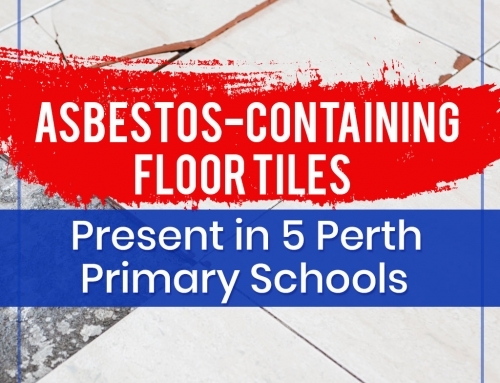 However, as dangerous as they may be, asbestos tiles are only dangerous when they are broken down and its particles are released into the air. You may not even need to remove them if they are still in good condition. Nevertheless, it pays to know how to identify them. 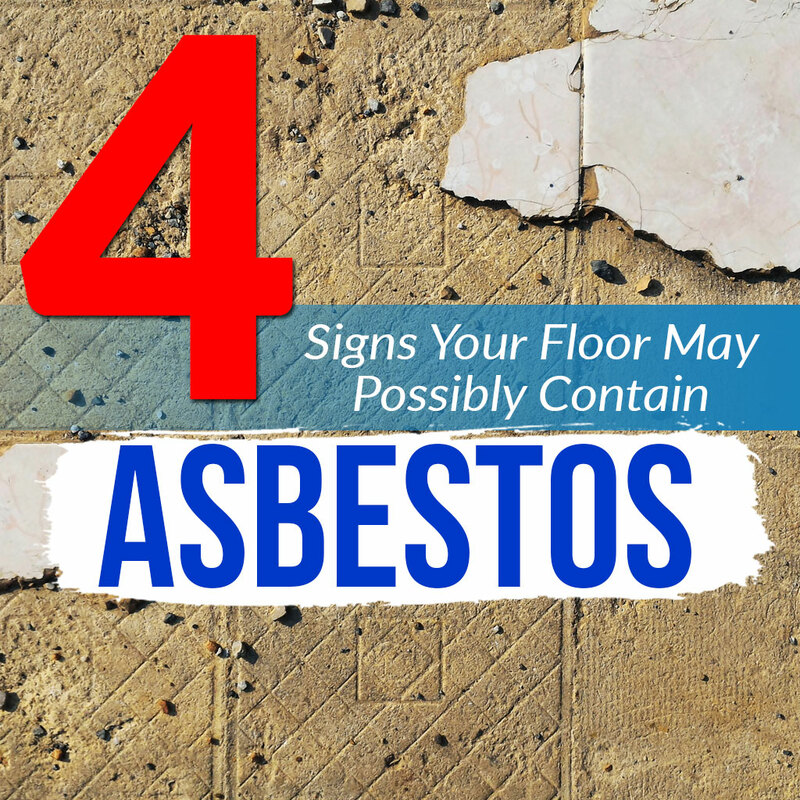 To help you with, here are 5 signs you need to know if your flooring may possibly contain asbestos. If your flooring is installed between 1920 and 1960, it has a higher chance of containing asbestos. You should examine the material to determine its condition. As long as the tiles are fully intact and in good condition, there is little concern. However, if it shows signs of deterioration, it is best to contact an asbestos professional to address the problem. Another sign that may determine asbestos in your flooring is the dimension of the tiles. The flooring sold during the heyday of asbestos tiling usually comes in three sizes: 6”, 9”, and in the later years, 12” squares. It was produced by some manufacturers including Armstrong and Flintkote and was thicker than most of the vinyl tiles today. In addition, the black mastic used as an adhesive for this tiles may also be laced with asbestos. As the name indicates, this adhesive is black in colour and may contain about 15 to 85 percent of asbestos. However, you may only encounter it after your floor has been removed to make way for new flooring. Finally, you will also have to look for signs of discolouration. Asphalt was a primary component in asbestos tiles. The oil from it can leak as it wears out and can cause grayish brown to black stains on the tiles. If your tiles show discolouration, it is more likely to contain asbestos fibers. It is nearly impossible to tell if a flooring contains asbestos as its fibers are microscopic in nature and is impossible to be seen with the naked eye. There is no visual indication that will guarantee its presence but, the best way to determine the composition of a flooring is to have it tested in a laboratory. If it is confirmed that your floor contains asbestos and is already showing signs of damage, you should immediately contact a licensed asbestos abatement professional to remove it. AWARE1 can help you with this work. Did you find this article helpful? Is your flooring showing signs of containing asbestos fibers? Let us know in the comments section below. Stay updated with the latest and important news by following our blog!